Why and how does empress crown look more natural? Its lacking metal base and being made up of full ceramic imitate natural teeth’s translucency, ability to reflect and transmit the light. Also, the harmony between empress and dental tissue, and the chameleon effect of the ingredients provide the ideal color and translucency. All characteristic features of your natural teeth can be transferred to empress crown. Empress crowns are mainly used in cosmetic dentistry. On which teeth can I have empress crown applied? Empress crowns can be applied on incisors (front cutting teeth), premolars, and when replacing a missing tooth in this front area. On which teeth it cannot be applied? Empress crown is not preferred on molars which are the back teeth and where mastication and lateral forces increase or in front or back area restorations where there are more than one missing teeth side by side. In such cases, zirconium crown, which is esthetic and which has higher resistance than empress, would be the first choice. In which cases can empress crown be applied? What are the phases of empress crown application? First of all, face and intraoral photographs of the patient are archived. Teeth sizes are measured and a smile design eligible for the patient is created. Then, the post-treatment appearance is demonstrated using a method which is called “mock up”. By this way, the smile design reaches its final shape by the dentist’s taking patient expectations into consideration. In order to put the approved design into practice, teeth are corroded about 2 mm under local anesthesia and after the last measurement, acquired data is sent to the laboratory. Within the same session, temporary restorations are prepared in tooth color with the help of “mock up” and attached to teeth. Thus, the risk of tooth sensitivity is eliminated and the patient keeps his social life. 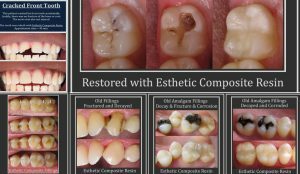 Empress crowns which come from the laboratory are tested to see whether they fit and after receiving patient’s approval, they are permanently cemented. Will I go on without teeth while the empress crowns are prepared? With the temporary teeth your dentist prepares for you, you will not be without teeth in any phase of the treatment. Even if you have missing teeth, with these temporary teeth, you will get rid of this problem. Do the appointments take a long time? 45-minute appointments would be sufficient. Can I eat and drink shortly after the cementation of empress crowns? You can easily eat and drink after you have your permanent empress crowns cemented. Does it cause sensitivity to hot and cold? Temperature change and expansion coefficient of empress crown are close to those of natural tooth. The harmony between empress and the tooth and the insolubility of the cement in mouth help tooth tissue not to remain uncovered. So, there won’t be sensitivity to hot and cold. How should I carry out its maintenance? Extra implementations other than your daily oral hygiene procedure are not required. As the life-span of your natural teeth increases by tooth brushing, using dental floss, and choosing the proper type of dental floss if there are bridges, the life-span of your empress crowns would also increase. Does my gum recede in time? There would not be any gum recession due to empress crowns. Not only its polished surface and excellent edge matching qualities obstruct plaque accumulation but also it is in biological harmony with your gums. Does it apart from the tooth? Do gaps occur? Gaps absolutely do not occur. Empress is in a firm connection with tooth due to the adhesive system. This adhesive does not dissolve or vanish over time. This situation, which occurs in metal based porcelains, does not occur with the empress crowns. Does my tooth decay under empress crown? Empress’ perfectly fitting the tooth and the insolubility of the adhesive preserve the tooth tissue under empress from plaque. Your tooth does not decay under empress crown. Does empress crown drop or break? It is not possible that permanently cemented empress crown to drop by itself or to be pulled out intentionally as a whole. They do not break because of their strengthened structures. However, any stroke which can pose a danger to natural teeth also poses a danger to empress. Does its color or shape change over time? Its color and shape keep all their qualities. With its being compatible with gums and polished surface which prevents plaque accumulation, empress is an odorless substance. It is compatible with all the soft and hard tissues. It is smooth and also biologically compatible. I am allergic to certain metals. Does empress cause allergic reactions? While non-precious metal alloys can cause individuals allergic reactions, empress which is made of full-porcelain does not cause any reactions. My old crowns/bridges create black shadows on my gums. Does empress have any advantages in this regard? In porcelain fused to metal crowns metal reflection occurs on gums. However, empress crowns are completely in natural tooth color. They are in harmony with your gums’ healthy pink color. My old crowns/bridges are white but they seem dull. Is a more natural look possible with empress? Empress and adhesives used under it would imitate natural teeth with their translucency properties. The natural smile you desire is possible with empress crowns. There is a malformation/position disorder of one tooth. If empress was applied, would it be noticeable? In this case, in front area, empress would be the ideal material which is available. Tooth which is its symmetrical can be identically prepared with its surface properties and shape and with a proper painting technique, color match can be obtained. If it is requested, characteristic traits of the tooth such as fractures and white streaks can be reflected to the crown. Is a younger smile possible with empress crowns? Teeth become smaller due to corrosion during aging process. Their translucency decreases. Their color becomes darker and they lose their esthetic liveliness. Decrease in the number of visible teeth affects lip contour and your smile. With empress crowns which are prepared by creating the ideal smile design in cosmetic dentistry for the patient, teeth are made according to the desired size, shape and color; thus, a whiter, more dynamic, and younger smile is obtained. They both adjust biologically and perfectly esthetically to natural teeth due to the fact that they are both strengthened special porcelains which do not have metal bases. While empress is used in the front area because of its outstanding translucency and natural look, in certain circumstances, in which esthetic and high resistance is considered, zirconium is preferred in cosmetic dentistry.